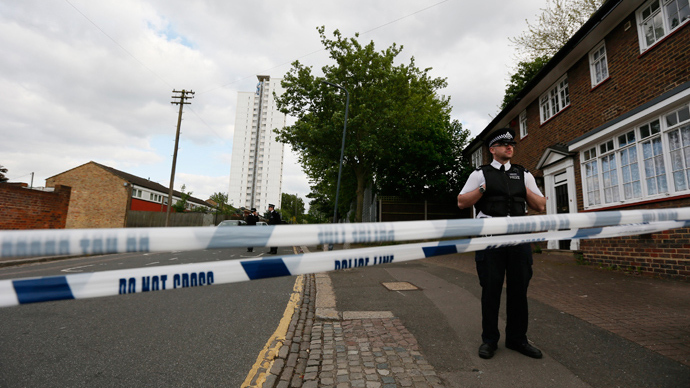 The Woolwich attack in the UK has already been branded as the latest manifestation of global Islamist terrorism. However, it has also been suggested the attack was backlash for the UK’s history of colonialism and intervention in the Middle East. The UK government has branded the brutal attack on a soldier in Woolwich, East London, as a “sickening and barbaric” act of terrorism, although the terror allegation has not been officially confirmed. 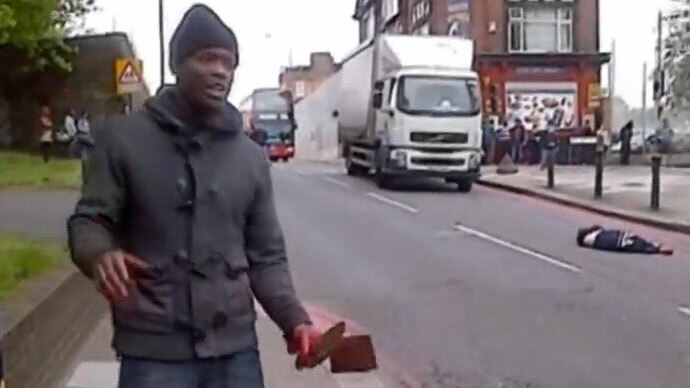 In video footage of the incident, the two assailants yell “God is greatest” in Arabic as they attempt to decapitate their victim. When police arrived on the scene they reportedly opened fire and injured the two suspects, who subsequently spent the night under arrest in hospital. 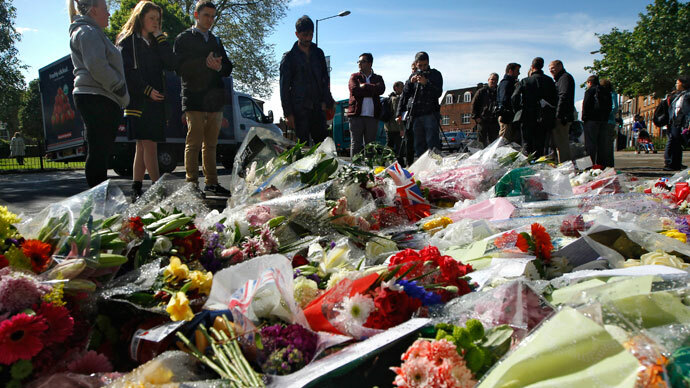 Speculation over the motivation behind the unprecedented attack is rife in UK media, with the press drawing parallels to a foiled 2007 plot to kidnap and decapitate a soldier in Birmingham. Citing police sources, Reuters reported on Thursday morning that officers were examining possible links to Nigeria in the attack. Nigeria was a British colony for over a century before gaining independence in 1960. The UK now has a large Nigerian immigrant population numbering 174,000, according to the Office for National Statistics. “The British colonial past and its current legacy of intervention and war is undoubtedly a factor,” Becker said. “This sickening atrocity in London is exactly what we are paying the same kind of people to do in Syria.” But Defense Consultant Moeen Raoof told RT that the nature of the attack was “bizarre,” and did not bear the hallmarks of Al-Qaeda. The UK government has stepped up security around the capital in the aftermath of the attack, and Prime Minister David Cameron has called an emergency meeting with top politicians and security officials to discuss the atrocity. In 2008, the Guardian obtained a copy of an MI5 internal research document on terror suspects that, based on numerous studies, concluded it was difficult to identify those who might be involved in terrorism in the UK. The study’s results “challenge many of the stereotypes that are held about who becomes a terrorist and why,” the Guardian said. According to the assessment, terror suspects are “a diverse collection of individuals, fitting no single demographic profile, nor do they all follow a typical pathway to violent extremism.” These include individuals from Pakistani, Middle Eastern and Caucasian backgrounds. The research revealed that roughly half of terror suspects were born in the UK, and a majority of the other half is in the country legally. Most of those involved in terrorism were males, with the majority becoming radicalized in their early- to mid-20s. A large number of those involved in terrorism did not practice Islam on regular basis. Cases have also revealed supects being involved in drug and alcohol consumption, and soliciting prostitutes. MI5 added that there is evidence that a well-established religious identity makes individuals less inclined towards violent extremism. Hundreds of UK men continue to travel abroad to places like Syria and Somalia to join anti-government and terrorist-linked organizations. Britons are allegedly involved with the Al-Nusra Front in Syria, as well as Al-Qaeda affiliate Al-Shabaab in Somalia.